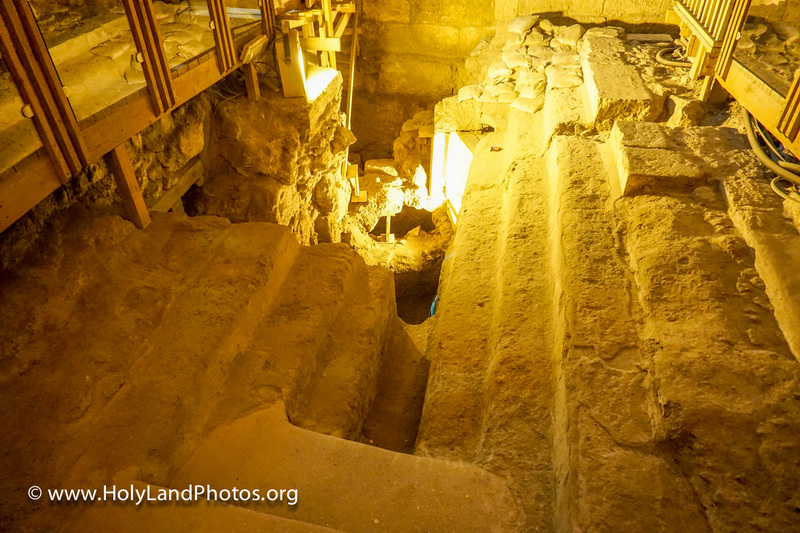 Many ritual baths from the Second Temple Period have been excavated in Jerusalem, but today (Wednesday, 5 August 2015) the Israel Antiquities Authority announced the excavation of one in the Arnona neighborhood in south Jerusalem. This large mikveh has inscriptions, written in Aramaic, and symbols of a boat, palm trees, plants and possibly a menorah written or carved on its walls! 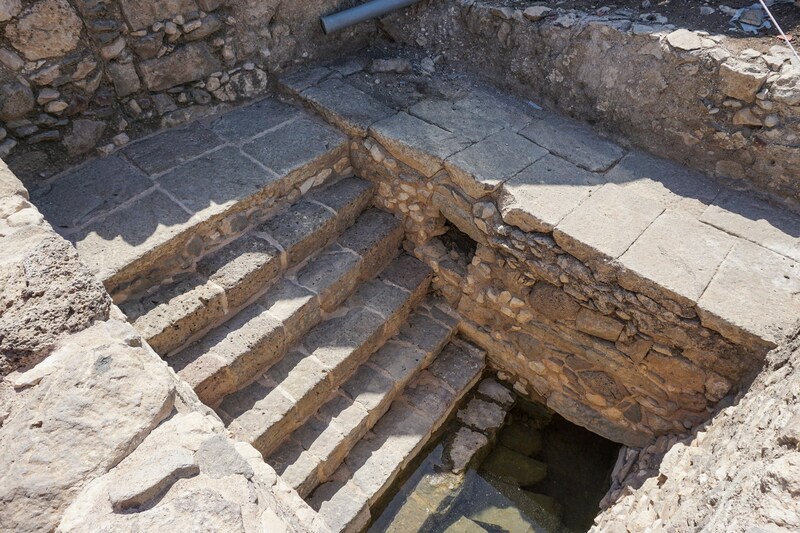 The Times of Israel has published an article describing this discovery along with 9 clear photos and an informative (partially in Hebrew) 5 minute video of the exterior and interior of the mikveh and its inscriptions. In two previous posts I described and posted images of the beautiful chapel and the first century synagogue at Magdala. Besides these two structures a number of others have been discovered including an “Elite House” (=mansion) that contains three(!) ritual baths, a mosaic floor, etc. View looking east at a portion of the foundation walls of an elite residence that is located south of the synagogue. Click on Image to Enlarge and/or Download. 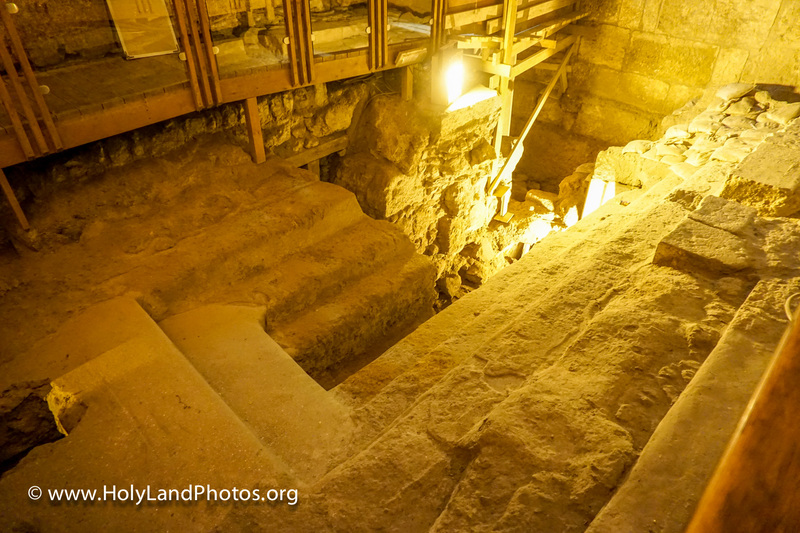 In the center of the image is a doorway and below it to the left are hewn steps that lead down into a miqveh (ritual bath). The thickness of the walls indicates that there was more than one story to the house. There is a mosaic under the permanent covering—that is still covered for protection. Because of the ritual baths found in the house, it seems that wealthy/religious Jews that lived there. 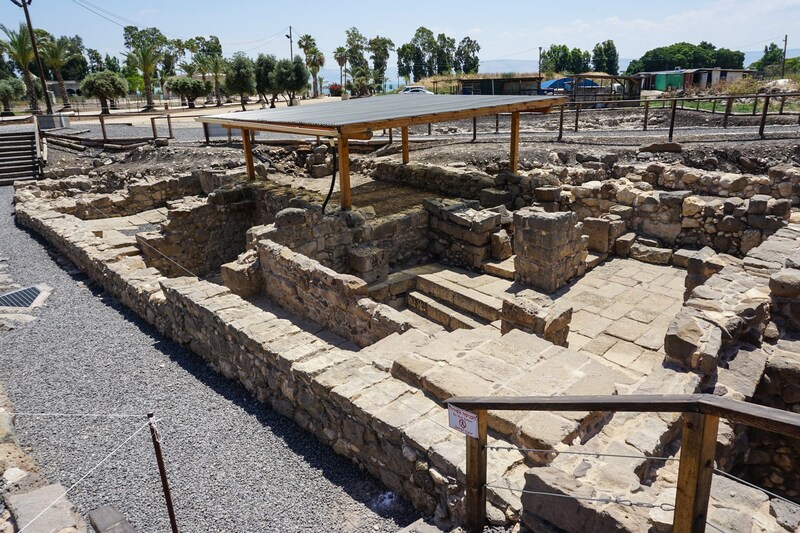 View of one of the three ritual baths that are part of an elite house that is located south of the synagogue at Magdala. Hewn stairs lead down into the water. 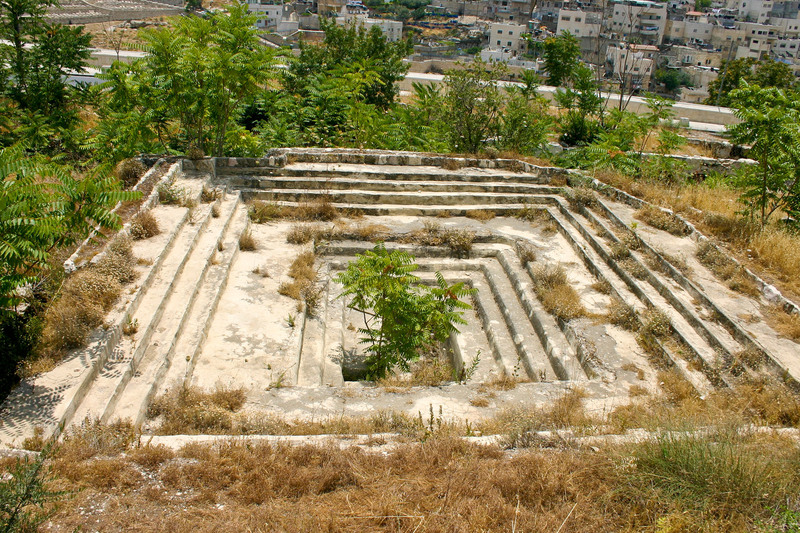 The bath still contains water—actually a spring in the area still supplies the bath with water. Between the synagogue and the mansion an extensive Market Area has been excavated. 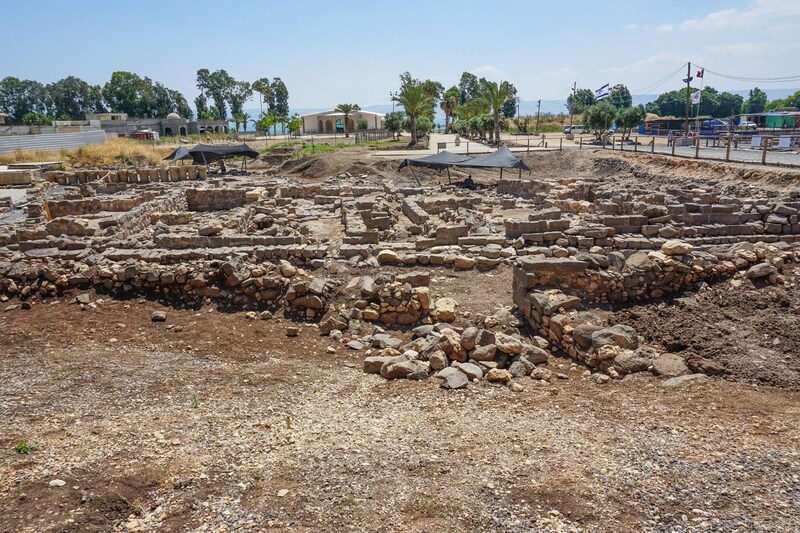 View looking east at the market of Magdala. In the shops, pottery, woven goods, and fresh produce were sold. In several of the shops there were plastered pools designed to hold fresh fish. These pools had access to fresh underground water. In addition, what is being called a “port,” was excavated—although the remains are not too impressive. Finally, to the northwest is a very large freshwater pool called En Nun. View looking northwest at the large freshwater pool of En Nun. This pool collects water from the springs that are located to the west of it. It was apparently used for irrigation as far back as the Roman (= New Testament) Period. It is possible that water was used in the fields north of Magdala. Or, maybe it was used by another city that was located to the north of Magdala (Dalmanutha?? Mark 8:10). Eilat Mazar and her crew have excavated new, and cleaning previously discovered, ritual baths just south of the Temple Mount. 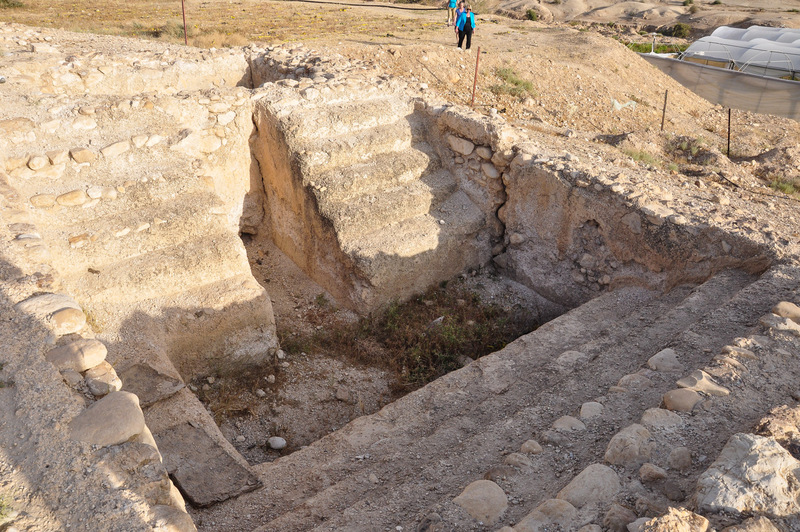 Click Here to view the video of the new discoveries and Eilat Mazar’s explanation of the large mikvah. 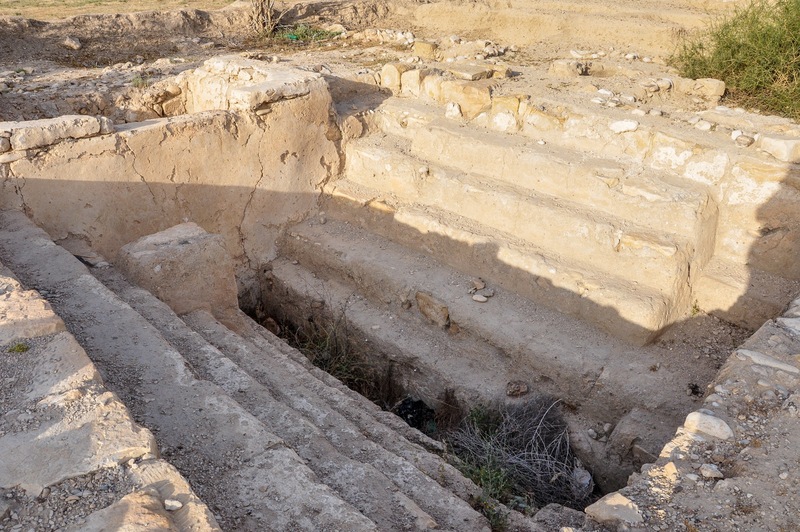 This ritual bath (miqveh) is located in Benjamin Mazar’s excavations south of the Triple Gate of the Temple Mount(Haram esh-Sharif) area. Its design is very unique. Some have suggested that due to its unique design and large size that the priests may have used it. 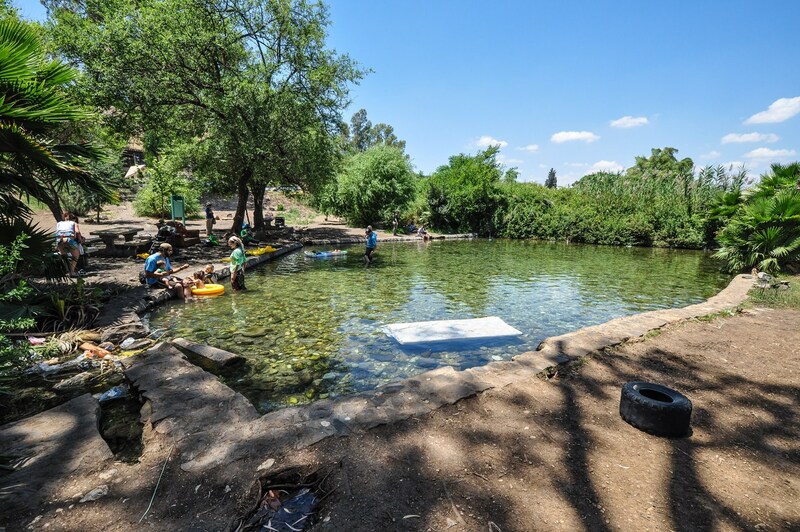 For a view of a more typical ritual bath Click Here. 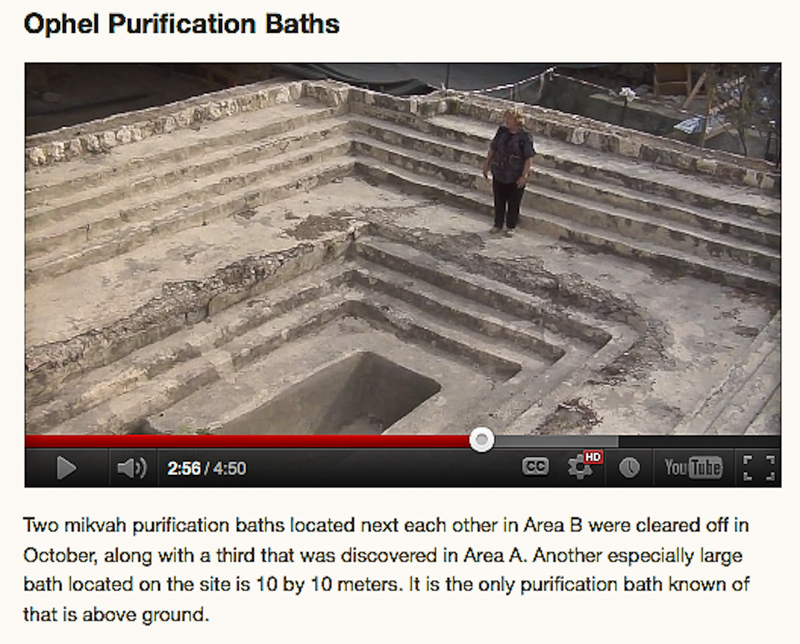 To view over 20 Ritual Baths discovered in the Land of Israel Click Here.